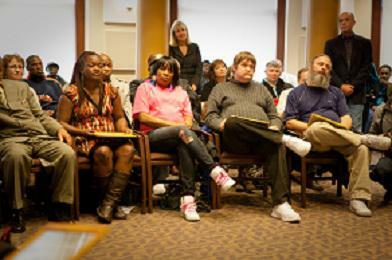 What is STOP Drug Treatment Court? STOP stands for Sanction - Treatment - Opportunity - Progress. Drug courts provide an option to those with substance abuse problems and related criminal charges. Instead of incarceration and probation, individuals have the choice of participating in intensive substance abuse treatment with frequent court appearances in which the drug court judge monitors compliance. Compared to the usual way of managing substance abuse and criminal activity, drug courts have been shown to work better at reducing criminal behavior, and they cost less! Connecting To Services: Referral by Multnomah County STOP Court required. We provide professional evaluation of treatment needs for Alcohol & Drug Dependence/Abuse, Mental Health, and Problem Gambling. InAct is a licensed DUII treatment provider for the state of Oregon. Case management and referrals to resources for housing, employment, and other services that remove barriers to treatment. Parenting education is offered to groups, individuals, and in-home to all STOP Court Treatment participants to address the challenges men and women in recovery face in parenting, We offer Nurturing Parenting courses in Fatherhood and Substance Abuse Treatment and Recovery. Multnomah County Department of Community Justice, U.S. Bureau of Justice Administration, Oregon Criminal Justice Commission, client fees, third-party insurance reimbursement. Parenting Educaton is supported by a grant from SAMHSA. An NPR story highlights drug courts like STOP as a major budget solution and an investment that saves the community money in the long run. Click here for audio and the transcript.